Vantiv (now Worldpay) is one of the largest merchant services company in the United States, operating since 1970. This company has gone by the names of Midwest Payment Systems, Fifth Third, and Vantiv. They’re rebranding again with the new name Worldpay since merging with Worldpay in 2017. The name transition will take some time as they were once Vantiv, now they are Vantiv (now Worldpay). At some point, the Vantiv name will be removed and they will be simply one with Worldpay. Vantiv works with a broad selection of payment processing companies. Formerly restricted to a US market, their merger with Worldpay allows them to access a global market of merchant processors and services. Signing up with Vantiv (now Worldpay) could easily result in high start-up fees, high early termination fees, and higher rates altogether. But most of their contracted terms are negotiable before enrolling. It helps to have a team of credit card processing consultants like Verisave to help you control costs with Vantiv (now Worldpay). Vantiv (now Worldpay) is primarily focused on merchant services that enable credit card payment processing. With other companies, you’re likely to find that they offer similar services as well as business management solutions for accounting, HR, and more. VANTIV MERCHANT ACCOUNTS – Vantiv provides merchant accounts for any type of business, anywhere in the world. 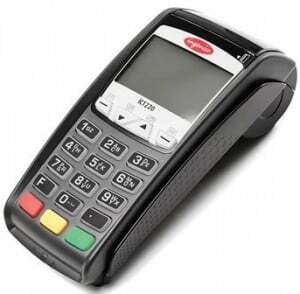 VANTIV mPOS SYSTEM – This is the card reader service provided by Vantiv. They use payment platforms similar to First Data, Global Payments, and TSYS. VANTIV MOBILE PAYMENT SUPPORT – If you’re using your mobile device to make or accept payments, Vantiv has a support line for NFC-based payments. VANTIV POS SYSTEMS & TERMINALS – Vantiv provides integrated and non-integrated POS options. 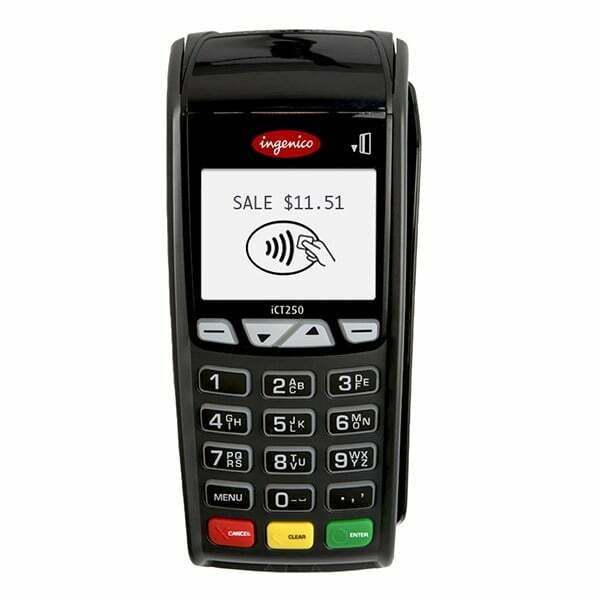 Some of their more popular payment terminals include the Verifone Vx520, the Ingenico iCT220, and the Ingenico iCT250. 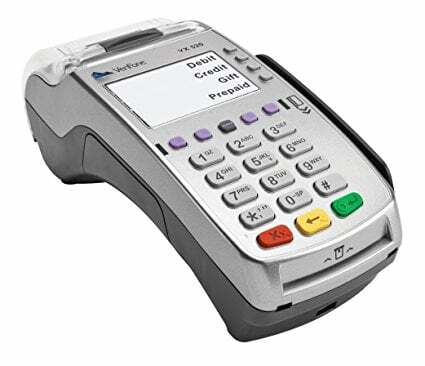 VANTIV VIRTUAL TERMINALS – Like many credit card payment processors, Vantiv offers a virtual terminal solution for merchants who prefer to use their computer or device as a POS terminal. They call it Virtual Terminal Plus. VANTIV eCOMMERCE SOLUTIONS – This is a useful tool if you’re selling anything to customers outside of the US. The customer will see their preferred currency while you see yours. It works for mobile web transactions. It also allows for eCheck and PayPal payments. VANTIV RECURRING PAYMENT TOOLS – You can offer your customers installment payment options as well as subscription payment options. VANTIV GIFT CARD OPTIONS – This is not an option with all business industries. But many business’ can offer their customers the use of gift cards for their transactions. VANTIV SECURITY – Using Vantiv can fulfill your PCI compliance. They encrypt their data in case of hacking and use tokenization to protect stored data. Vantiv’s security system is OmniShield Assure. Should your customer data be breached, you can count on their data breach insurance. Vantiv (now Worldpay) has created customized merchant services packages for your business’ needs depending on which industry you are in. But taking a closer look, you’ll realize that each of these items leads to the same sign-up process – “Get Started”. So though they may seem to have developed generous information for your specific niche, they are really just using this marketing tactic to draw you in. Working with Verisave is all the customization you’ll need for setting up your merchant accounts. Having worked with hundreds of companies processing credit payments every day, we can apply our proven savings strategies to your merchant account. If Vantiv (now Worldpay) isn’t the best option for your business, we’ll tell you who is. Give us a call before making long-term commitments to any credit card payment processor. Integrating the use of Vantiv credit card processing services, including hardware like POS terminals, is relatively easy. Because they focus on credit card processing and less on business/enterprise management software, there isn’t much integration involved. Enrollment, receiving hardware, managing statements, and paying your monthly merchant fees are simple to integrate and user-friendly. How Much Will You Be Paying For Vantiv Services? Vantiv does not disclose pricing and financials online. For a quote, you can submit a request and get an idea of how much you could be paying for their services. After working with Vantiv for a number of years across multiple industries, Verisave has developed proprietary benchmark data that allows access to more savings opportunities. We can help you save money with Vantiv regardless if you’re just starting with them or if you have been with them for a long time. Vantiv has long contracts, lasting an average of three years. They are always set to auto-renew so buyer beware: if you plan on canceling your Vantiv services, be sure to know how to go about doing this to avoid auto-renewal. The early termination fee of at least $295. Early termination fees increase based on your contract. On occasion, Vantiv customers have encountered fees for “liquidated damages.” Vantiv will expect you to pay (along with your early termination fee) 10-15% of the profits they would have made off of your credit card sales for the remainder of your contract. Before signing a contract with Vantiv, urge them to remove this stipulation from your contract. If your interested in Canceling a Vantiv Contract, Implementing/Restructuring with Vantiv, or Trying to Achieve Savings with Vantiv, then speak with a Verisave merchant service expert. Customers achieve an average savings of 25%-35% in overall credit card processing fees with an audit from Verisave. Researching Vantiv’s Merchant Services – Vantiv’s website is vague. You can read lots of marketing verbiage for the benefits of Vantiv credit card processing and merchant services, but until you speak with a sales representative, you won’t actually know what to expect from them. Even after speaking with a sales rep, you may be in the dark. Many complaints about Vantiv come from a general lack of transparency and misunderstandings about contract elements. Contacting Vantiv’s Customer Support – You can reach customer support by submitting a support request online, calling in by phone, or with their live chat feature. Have on hand your first/last name, legal business name, merchant ID, email address, and phone number so they can respond to your requests. They have multiple service phone lines including their main line, a line for eCommerce support, activation support, integrated payments support, former element merchant support, former Moneris USA customers, and former NPC merchants. Vantiv’s customer support has been found to be useful and efficient. When compared to other credit card processing companies online, Vantiv has a surprisingly low amount of negative complaints. This is in respect to the size of the company. You will find complaints about Vantiv but most seem to involve customer service and outlandish liquidation damages of which clients were unaware. There are regular complaints from customers who wished to cancel their contracts early but had signed contracts with a hardware lease that was non-cancelable. Many businesses small and large use Vantiv for credit card processing. Having worked with a number of companies across multiple industries using Vantiv, Verisave merchant account experts are well versed in Vantiv’s product, common contract practices, offered rates, and more. To avoid the frustration that customers have experienced in negative reviews found online, work with Verisave to implement transparent, measurable merchant savings while working with Vantiv as your credit card processor. Stay two steps ahead of the enrollment process with a team of merchant account auditors on your side when enrolling in merchant services with Vantiv. With Verisave’s developed proprietary benchmark data on Vantiv you gain access to factual savings results that can be applied to your merchant account. If you are currently using Vantiv as your credit card processing company, you can still save money on by working with Verisave. Submit your most recent merchant account statement and we will determine whether or not you could benefit from our services after performing a free audit of your account statement. When referring to the percentage merchants pay for accepting credit card transactions, Visa and Mastercard use the phrase “Interchange Rate”. American Express uses the phrase “Discount Rate” when referring to their processing fees, which can be misleading. Instead of giving merchants a discount for particular purchases, they are actually taking a larger percentage of the purchase than most credit card processors. As American Express works as a closed loop system (dispersing their own cards, authorizing and settling payments), they set their fees at high price rates for whatever they can get away with in our current economy. Too often, companies accept losing money on merchant account fees when they would not accept those kinds of losses in other areas. But merchant account fees are presented in such a way that it can feel like an insurmountable task to cut back on expenditure. It is possible the fees are purposely obscured so businesses are not aware that fees can be reduced. By optimizing your interchange rates, weeding out unnecessary charges, and implementing more tried-and-true techniques, Verisave could reduce your merchant account fees anywhere from 25% to 35% each month. Years of experience sorting through companies’ merchant account statements has given Verisave a familiarity with the process. Our savings experts focus solely on reducing your merchant account fees, saving your business more than they imagined was possible. Merchant account processing is a topic that involves so many variables, it is difficult to fully understand. Understanding credit card processing involves a variety of topics ranging from Visa, Mastercard, AmEx, and Discover interchange rates to processing options like Chase Paymentech, TSYS, Elavon, and more. This is why so many companies pay for convenience through high merchant fees — because they simply do not have the time to really digest all the info that comes with payment processing. However, if you know enough about the credit card industry (like we do), you can take one look at your merchant account to know where you are overspending and start making changes to reduce your monthly merchant fees.